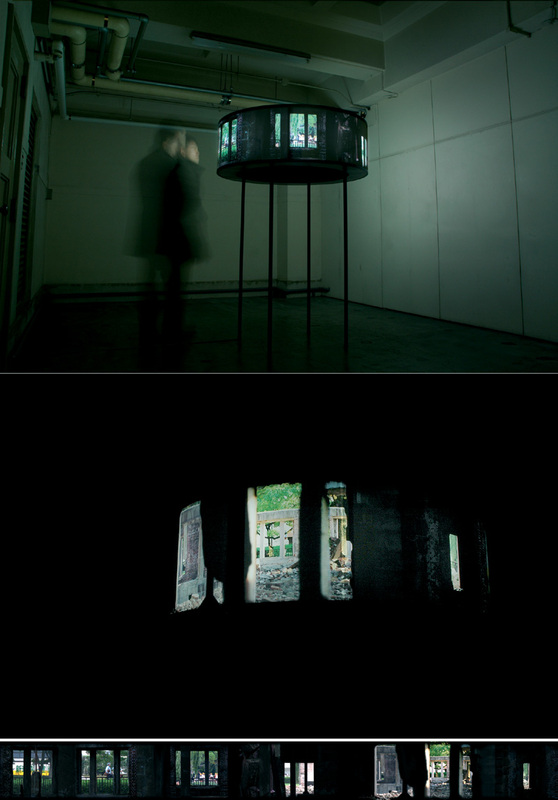 An annular light box placed in a dark room contains a panorama taken in the Atomic Bomb Dome focusing on the views outside the windows. Nowadays public is not allowed to enter the Dome and see it only from outside. In a sense they are always watching the past from present. However this relation reverses as the space inside and outside the Dome reverses. Past encloses present here. This work takes the viewer to a position where he or she can see present from the past.